I've just spent the last week living with the HTC Vive Pro and even though I've tried what I like to call 'proper' VR countless times, that first time you put on that headset and enter those virtual realms is still something very special. I don't take it for granted that what HTC, Oculus and others have achieved is truly groundbreaking. But, I have a problem. A big problem I know full well is shared by many others that have experienced 'proper' VR in their own homes. Yes, I'm talking about the setup process. If you've read my review, then you would've got a taster of the arduous process I had to go through to get the Vive Pro up and running, and I just don't want to go through it ever again. But I'm going to let you in on my window of pain. First, there's was setting up the gaming PC, which always includes a few lovely Windows software updates to negotiate. Then there's plugging in the cables (all of the cables) in all the right places, which in the case of the Pro has at least slightly improved on the original. I didn't have the luxury of that wireless adaptor to eliminate that cable issue unfortunately. But for the average person who has never encountered a setup like this, I fear for them and their sanity with all these wires trailing all over the place. Then I needed to have a minimum of six plug sockets free, including the two dedicated to setting up the base stations away from the PC. And I'm not done. There's the firmware updates I needed to do for both Vive controllers, the individual base stations the latter of which required plugging back them back into the PC and then plugging them back into the power supply at the same time. I've just had the Asus Windows Mixed Reality headset delivered to Wareable HQ, so I'll also have to go through something similar in the not too distant future. As you can imagine, I'm already dreading it. As I said earlier, I'm fully appreciative of what HTC and company have achieved with this technology and the fact it's now actually available to use at home. But for me to really be sold on VR and actually want to use it on a regular basis, a lot of this setup crap needs to be simplified. I'm talking PC, cables, constant updates. It all needs to go. The answer to this, of course, is standalone VR; something already exists through Google Cardboard, Daydream and Gear VR. But it's time for standalone headsets to showcase the best of what virtual reality has to offer. I have no doubt that there are people out there buying Rift and Vive headsets, but I just wonder how many more people would buy them if it became more of a plug-and-play experience. The setup is not the only problem holding up VR's ability to go fully mainstream, but it surely has to be one of the main obstacles. Even the PlayStation VR, which is arguably a lot easier to set up, still requires a few more peripherals before you can start playing the likes of Gran Turismo in VR. 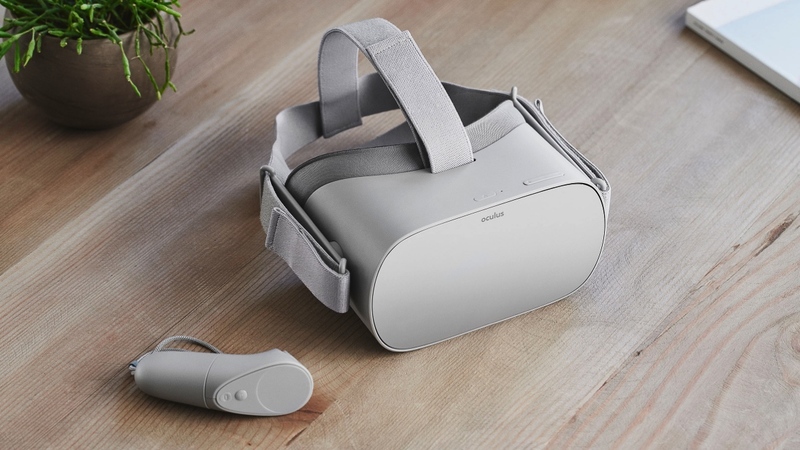 That's why I'm really looking forward to what the Oculus Go, HTC Vive Focus and the Lenovo Mirage Solo have to offer when they launch later this year. Our US editor Hugh has tried the Go and the Solo, while I've spent some time with the Focus, too. While we'd both agree that from a technical point of view these headsets are no match for their high-end counterparts, that's not really what they're about. It's more about giving people a better feel of the best of what VR has to offer. A happy medium where you can move in VR without the cables like you can with the Focus and the Mirage Solo or play games and pass it over to a mate who wants a go with minimal fuss. I want more people to experience what I have been fortunate to experience countless times with virtual reality. And while these standalone VR headsets are more of a halfway house between smartphone-powered headsets like the Gear VR and the Rift, Vive and Windows Mixed Reality headsets, they will surely evolve into the headsets that will deliver that proper VR feeling. I, for one, cannot wait.